Kyle scores 1,000th career point. NEW HAVEN, Mo. - In Friday night’s (Dec. 19) game against St. James, Kyle Ruediger scored his 1,000 and 1001 career points, but not in the way fans would have expected. Fans have become accustom to watching teams try every attempt to keep Ruediger from scoring by double and triple teaming him with little success. 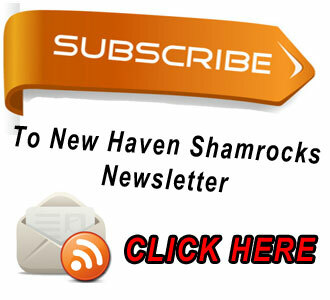 Portions of video are courtesy of Katie Borcherding. 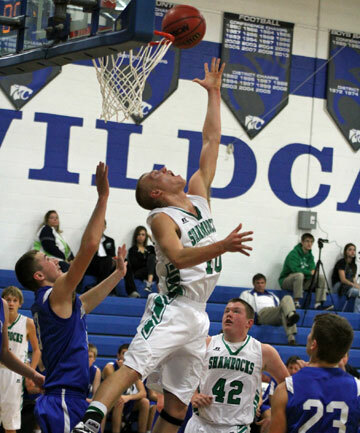 Jared Horstmann scores two of his ten points in Friday night's game. NEW HAVEN, Mo. 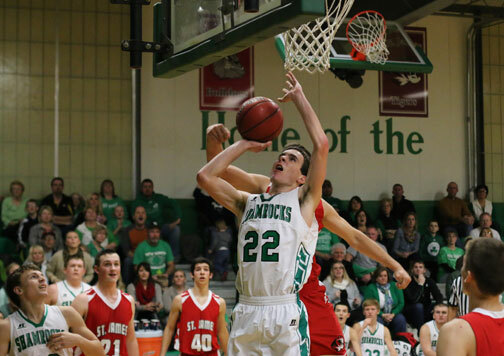 - Senior Kyle Rueidger scored a game 19,surpassing 1,000 career points and Jared Horstmann added double figures with 10 points in Friday’s Four Rivers Conference loss to St. James 43-42. Montgomery County, Mo. - Kyle Ruediger exploded for a career high 35 points on 14-18 from the field and was named the Montgomery County Tournament MVP, leading New Haven to a 77-60 win over Montgomery County in Saturday’s Consolation game. 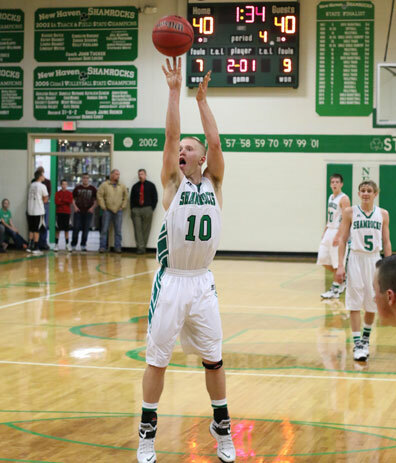 Jared Horstmann contributed a career high 18 points and was a perfect 8-8 from the field. 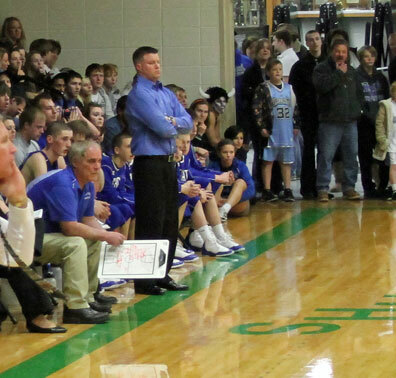 Over the course of his 30 years as New Haven’s Head Basketball Coach, Ray Steinhoff has become an icon not only in New Haven, but throughout the state of Missouri due to his success, humility, kindness, and innate ability to teach something special to every player who joined one of his teams. I sat down with Steinhoff shortly after he announced his retirement, talking about what sparked his interest in coaching from the individual who had the greatest impact on his coaching career to some of his memorable moments. 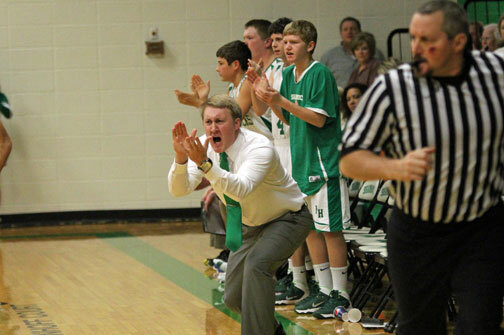 Love of basketball began in a hay loft. Growing up on a farm in St. Charles, Mo. Steinhoff was the youngest of seven (5 brothers and one sister) and recalls his love of basketball fostering at a young age in a hay loft where he and his brothers built a basketball court. NEW HAVEN, Mo. 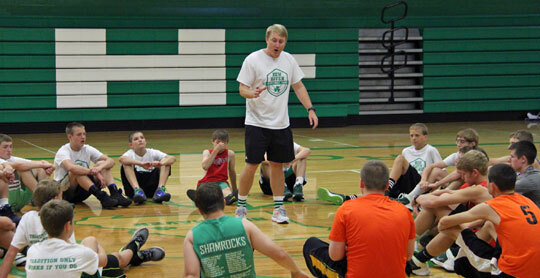 - Last week’s boys basketball camp could be considered the beginning of Aaron Peirick’s varsity coaching career. “Coaching at New Haven had always been something I’ve wanted to do.” Peirick’s reason for wanting to coach comes from his love of the game he said. 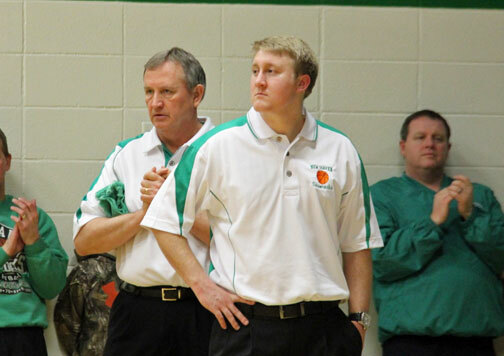 Peirick has been the JV boys coach for the past two years as well as the Industrial Arts teacher. We can also confirm Derek Bailey will continue his role as Assistant Varsity Coach, assuming the board approves the recommendation. NEW HAVEN, Mo. 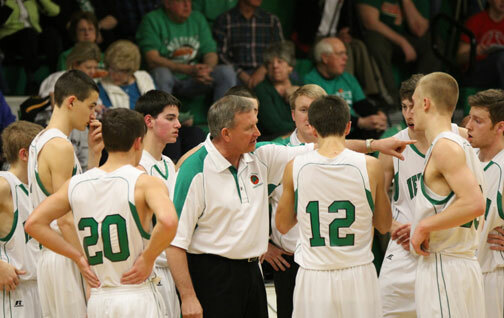 -New Haven Boy’s Basketball Coach Ray Steinhoff announced Wednesday night that he would be retiring at the end of this school year after 30 years of coaching. 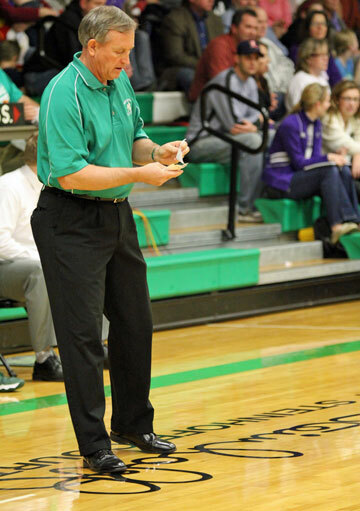 Last night Coach Steinhoff told QuickNewsNow, “I felt like this was the right time to retire.” He also noted there were personal reasons for his decision to step down as head basketball coach, Athletic Director, and High School P.E. teacher.